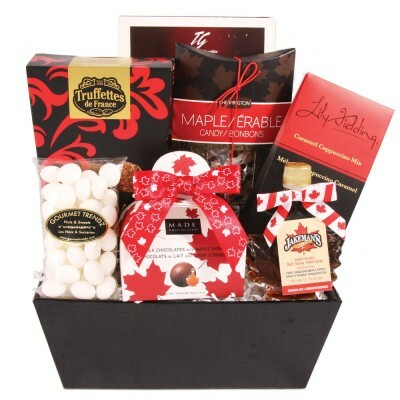 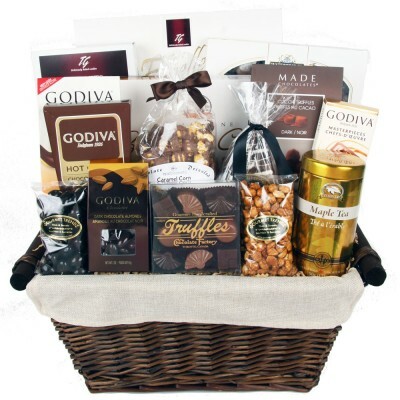 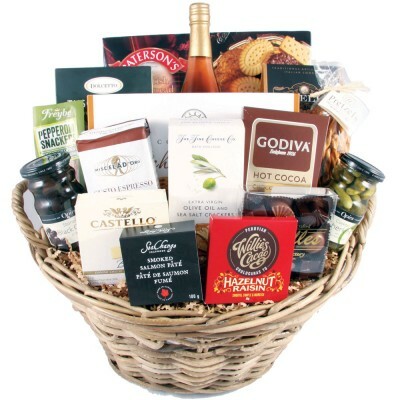 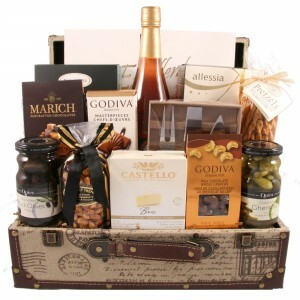 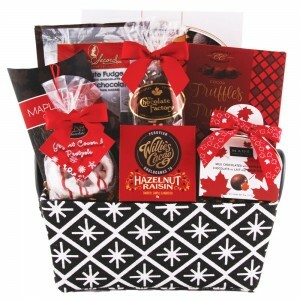 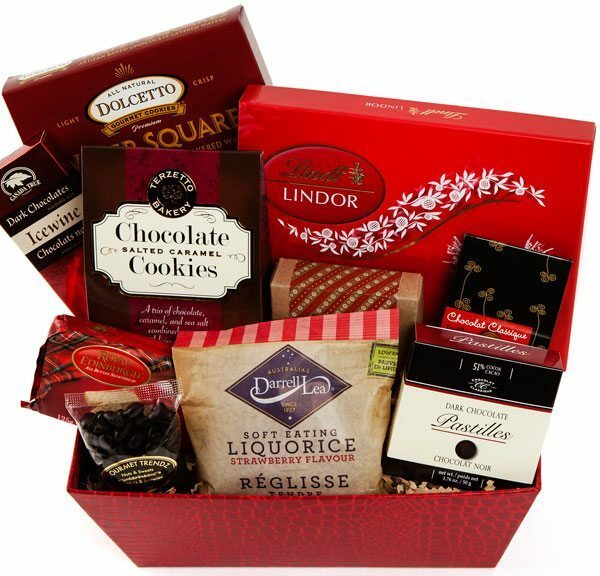 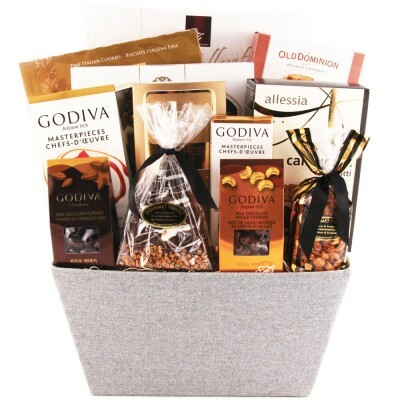 Extend warm wishes this holiday season with this lovely box of treats. 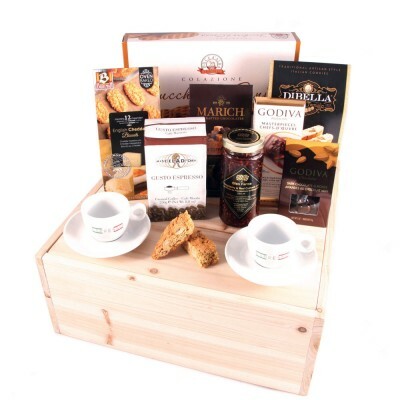 Godiva dark chocolate almonds, Marich milk chocolate English toffee caramels, sugar cane cookies, caramello macchiato biscotti, English cheddar biscuits, Glen Farms strawberry & red currant jam, fine espresso ground coffee and two porcelain espresso cups with saucers are expertly arranged in this natural wooden box with lid. 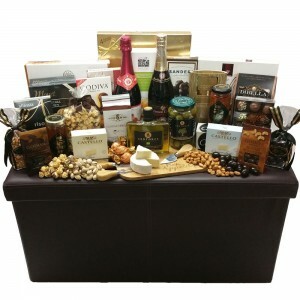 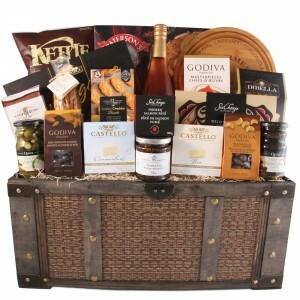 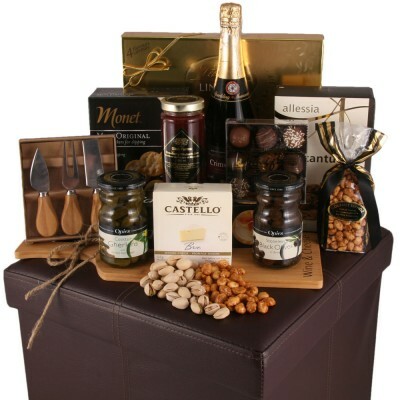 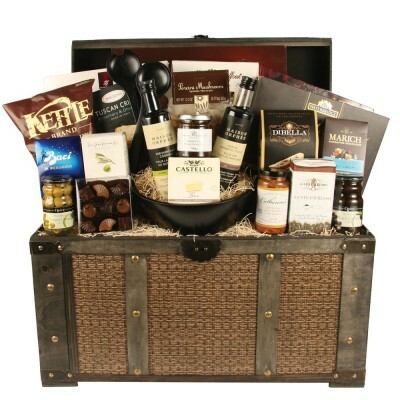 Fine gourmet items fill this fashionable trunk. 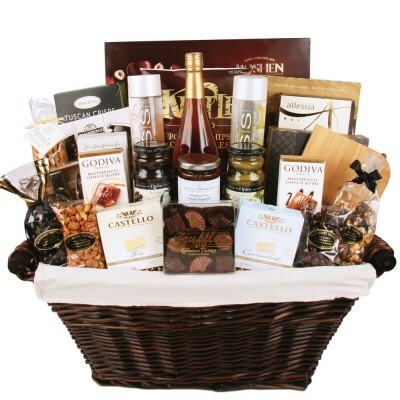 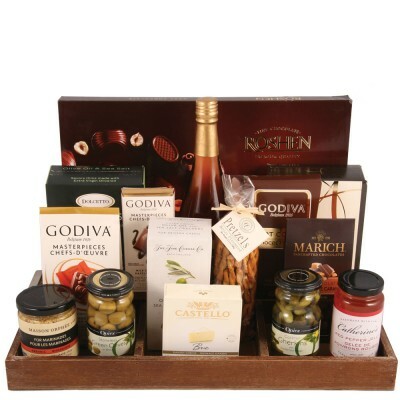 Godiva milk chocolate cashews, Marich milk chocolate English toffee caramels, honey peanuts, cookies, crackers, Brie cheese, stoneless olives, cocktail gherkins and butter flavoured pretzels are accompanied by a cheese knife set and a bottle of sparkling cranberry cider.